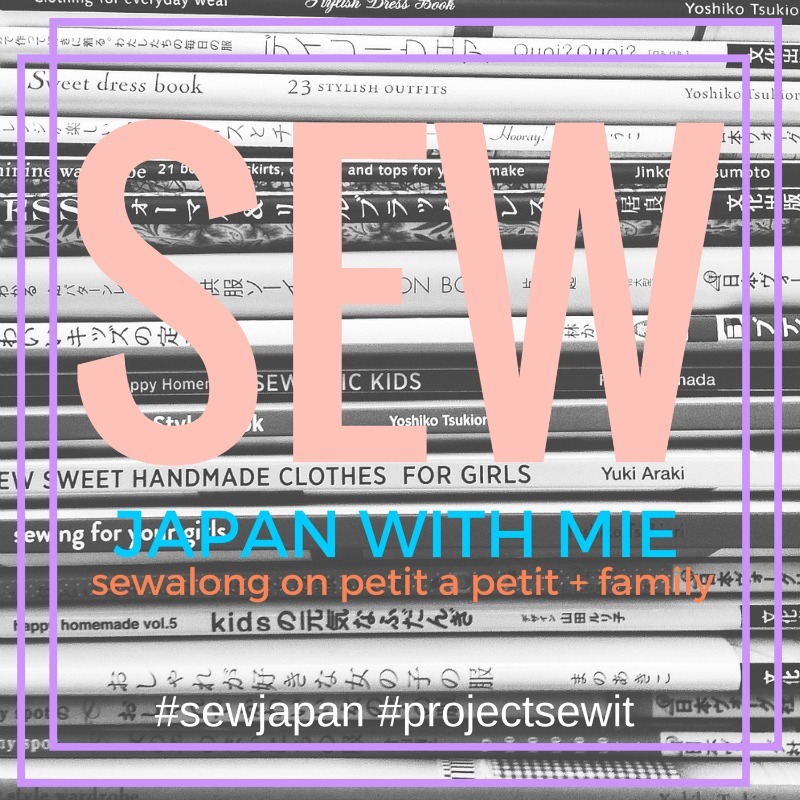 So once in a while sewing and blogging can be oh so simple. 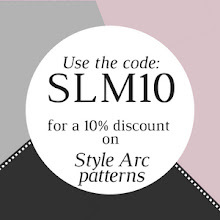 You buy the pattern, download, print, tape, add 10 cm in length and cut it out. Find a big enough piece of fabric in your stash that fits the fabric recommendations, cut it out, sew it together, put it on (okay, have a few fittings along the way but in this case no adjustments were needed) and cheer. Because it fits perfectly right off the bat. 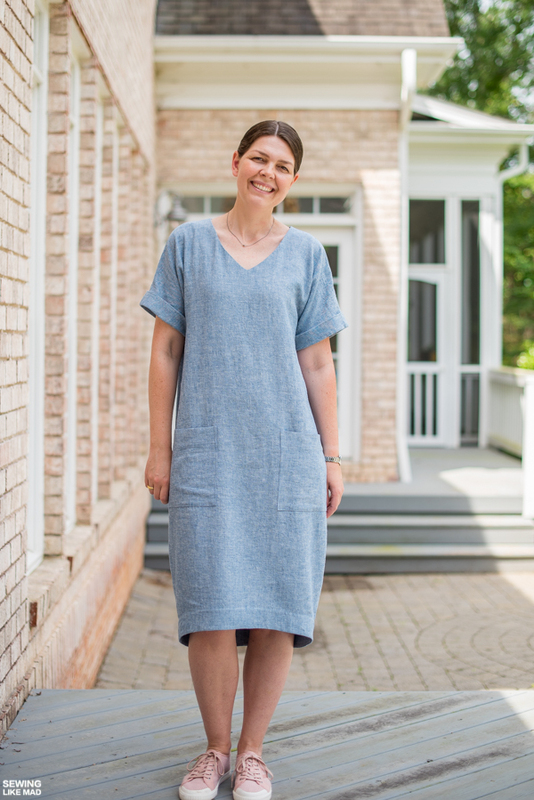 Then it's hanging in your sewing room for a few days until you one day is so desperate to wear it, that you have a shower, put on makeup...and the dress, ha, and in 15 minutes takes some blog photos that doesn't need to be retaken and only needs minimal editing. And suddenly that same day, you find yourself actually writing the blog post and you know there is a good change of actually publishing this post today. 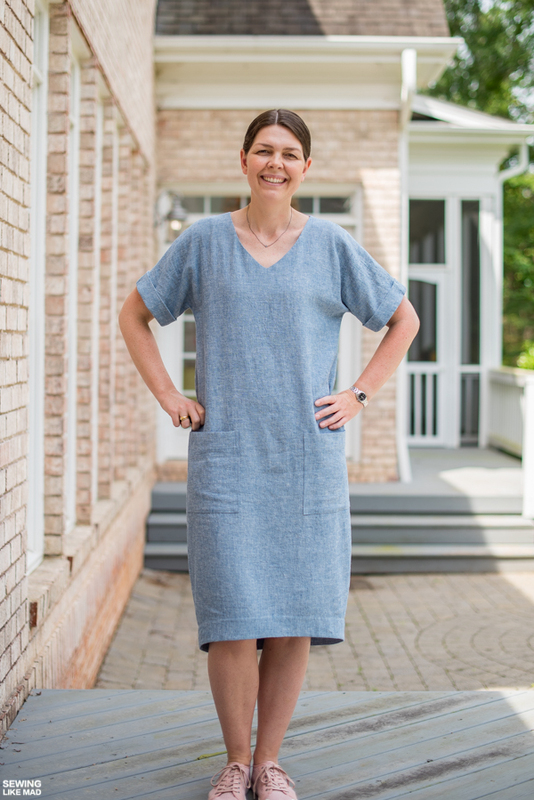 Yeah, this does not happen often for me, but this is actually the case with this Adeline Dress from Style Arc Patterns. Easiest and most satisfying project 'ever'...or at least in recent times, ha. I have been busy sewing my Mom's 60 year birthday presents plus another top secret birthday present, so you can say I sneaked this one in as a palate cleanser. Or maybe it was more, so I could better handle sending those things off that I was making as presents. Gah, I know it's a good sign that you want to keep whatever you have made but ugh, it's not always easy, haha. 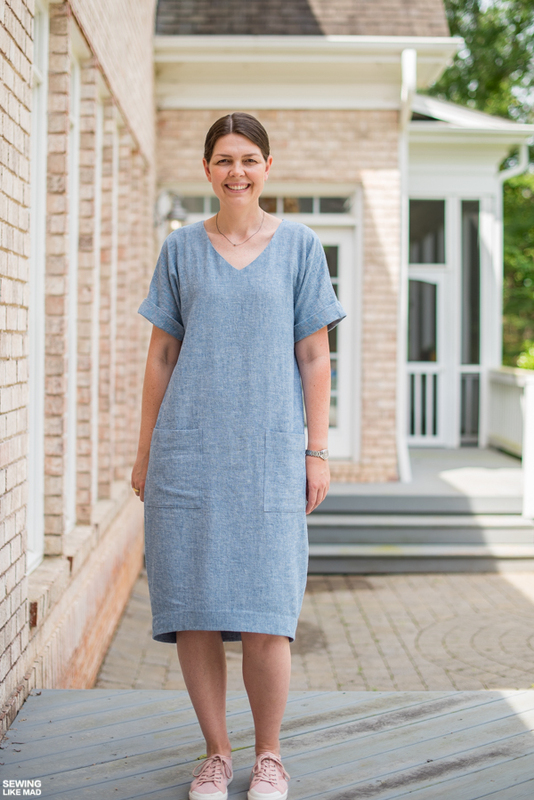 I made the size 10 and, as already mentioned, the only change I did was to add 10 cm / 4" to the overall length (at the lengthen/shorten line marked on the pattern). I probably didn't even had to do that but I'm now at the age where I don't mind if my knees are covered up, haha. So I'm happy with this length. My legs hit the hem a tiny bit when I walk because of the cocoon shape but nothing that bother me at all. But you can always make it shorter (or not make it longer, ha) if it would bother you. The fabric is the Robert Kaufman Brussels Washer Yarn Dye linen/rayon blend in the color Chambray. It could not be more perfect for this dress. The perfect mix of drape and stability plus totally opaque so no need for linings or slips or whatever. Just pull it over your head and you are dressed. There is a CB seam which I'm guessing is just there is save fabric....unless your fabric has a one direction print, but in this case it definitely saved a ton because you can turn one of them upside down and slide the front and back pieces next to each other. One thing I really like about this pattern is the facings. The hem has facings and of course the neckline. And the neckline is really nice and wide. I absolutely love that. It helps so much to keep it in place when it is wide like that. And don't forget to interface your facings, okay! Although keep reading because I have a little tip for you right below. I had a little problem with my hem facings that I want to share. When I was about to make that visible stitch you can see 5 cm / 2' above the hem, it appeared that my hem facing was too small. The problem is not because of a pattern mistake - I checked the paper pattern piece and they match up perfectly. I think the problem was caused by a mix of the linen in the dress was 'growing' a bit while handling and me interfacing the whole hem facing. The next time I will only interface the bottom half of the hem facing, that way the top of my hem facings can 'grow' a little bit too and fit the dress. In the end it all worked out with some heavy pressing and steaming but it could have been avoided. 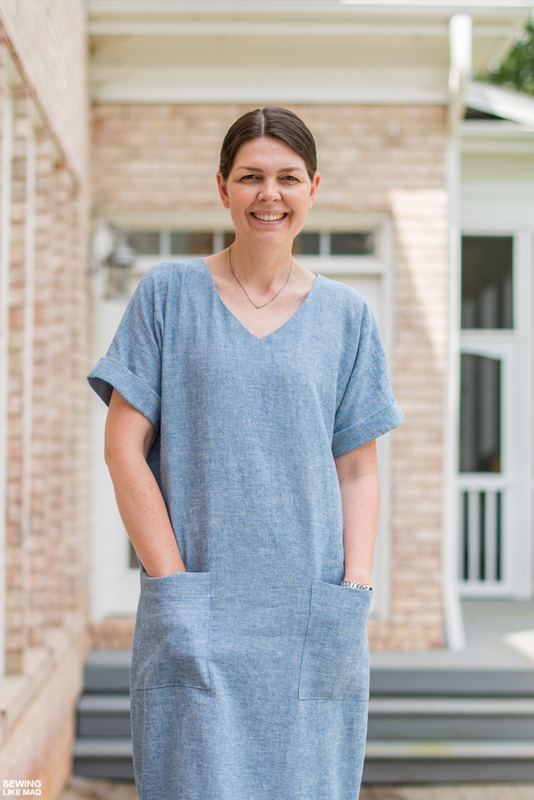 The sleeve is a dolman style and the fold up is basically just a very wide hem that is folded in half and stitched in place at the shoulder and side seam. Again super easy. I know that the quality of the Style Arc Patterns are the pattern drafting (and the awesome designs), not the instructions. The instructions are kept to a minimum because the patterns are meant for people that can already sew. It's all good. I do want to mention something though about the particular instructions for this pattern. The instructions are not wrong but I just want to encourage you to do it differently. They suggest that you sew the shoulders seams and then hem your sleeve and sew the bottom facings on and THEN sew the side seams. It is a very industrial way of sewing (to save time aka money) and I'm going to claim that sewing your side seams first and THEN hem the sleeves and add the facings gives a nicer result. We are down to the very nitty gritty details but since it's my self-proclaimed mission to encourage nice finishes, well then I thought I would mention it. I absolutely love my new dress. Now to make ten more. Get your own Adeline Dress HERE. Love this so much! Looks comfy and fabulous! Excellent tips as usual too. Love it! Isn't this dress great?! One of my favorites. This is absolutely perfect on you!!! You are definitely making me want to try this one out. This dress is fantastic! You can see the nice finishing from here - and I love a faced hem. Beautiful! Perfect dress! I couldn't love it more! !